Botswana has an elephant poaching problem. The numbers far exceed previous years according to a new survey. The survey was conducted between July and October 2018 by conservation group Elephants without Borders, in collaboration with Botswana’s Department of Wildlife and National Parks. The survey reported a total of 1677 observed carcasses in the survey area of northern Botswana. The surveyors visited carcasses that were of concern – reported as possibly poached – which numbered 104 out of a total of 128 “fresh” carcasses. of the over 100 carcasses of concern, 90% were confirmed as poached. In the 2014 survey – the last one conducted in the area – no evidence of poaching was found. Though the number of elephants in Botswana has decreased only slightly since 2014 from 124,584 to 122,797, this evidence of poaching in hotspot areas is deeply concerning. Botswana is home to just under a third of the continent’s remaining Savannah elephant population – about 415,000 – the single largest population by far. Becoming an increasingly attractive target for poaching would devastate the country’s thriving tourism industry. What’s worrying is that the government – despite the involvement of the Department of Wildlife and National Parks in the survey – is blocking the release of the report and is questioning its findings. It maintains that elephant numbers in the country are too high. Not all the fresh or recent carcasses are attributable to poaching. A small number reflect death from natural causes. But one of the aims of the report was to verify whether poaching accounted for the sudden increase in fresh carcasses. Poaching can be identified through skull damage and attempts by poachers to cover the carcasses. The authors of the report identified four regions with high “fresh” or “recent” carcass counts – those of elephants killed within 12 months prior to the survey – and used a helicopter to check 33 ‘fresh’ carcasses suspected of having been poached. All 33 were confirmed as such. The survey team also conducted ground checks for 79 carcasses classified as “old”. 81% were verified as poached. these results suggest that there is a significant elephant-poaching problem in northern Botswana that has likely been going on for over a year. It doesn’t take long for poaching to take root and become deeply embedded. This can be seen in Tanzania where 60% of its elephants were lost in half a decade. Tanzania’s Selous Game Reserve alone lost about 100,000 elephants between 1976 and 2013. Botswana has to address this problem urgently. Tourism contributes about 11.5% of Botswana’s economy and its options for economic diversification, after diamond rents start to dwindle, are highly limited. Without wildlife tourism, prospects are bleak. So what’s driving the poaching in Botswana? First, Botswana has become a safe haven for elephants – as it has historically managed its populations exceptionally well. Elephants are smart refugees and move to avoid danger. For instance, because of poaching, there are only about 21,000 elephants left in neighbouring Zambia. Angola and Zimbabwe also have poaching problems. This partially accounts for why such a large number of the continent’s savannah elephants have made their home in Botswana. They escape poaching and hunting elsewhere but also grow from within as reduced stress aids breeding. But where the elephants go, the poachers follow. Second, demand for ivory from East Asia remains high, though there is some indication of a Chinese slowdown. Strong demand, combined with the growing market for bushmeat, continues to drive elephant poaching across African range states. While the Chinese domestic ivory ban is a welcome move in the right direction, it’s not enough. From a policy perspective, it has to be complementary to demand reduction efforts, not a substitute for them. 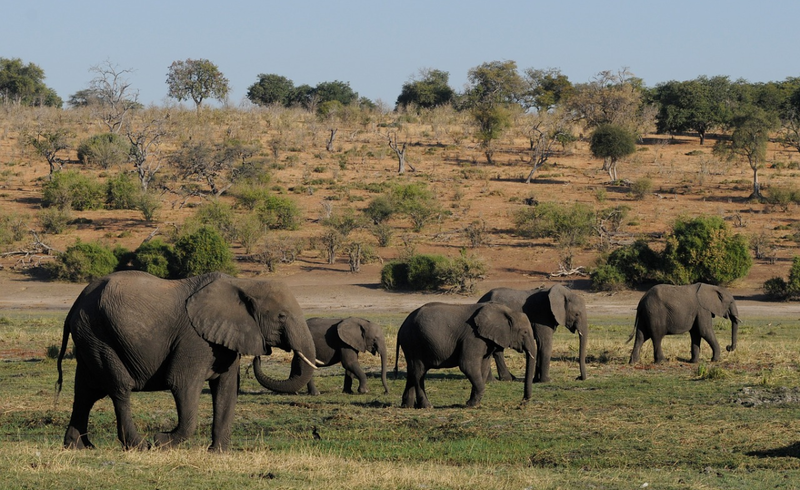 Third, since Botswana’s President Mokgweetsi Masisi took office in April last year, there have been changes in policy that may threaten elephant populations. Wildlife rangers have had their military-grade weapons removed. Masisi has also ended the unofficial “shoot-to-kill” policy favoured by his predecessor, Ian Khama. These policy changes seem legitimate, as bringing arms into conservation battles – like anti-poaching efforts – has its own problems. But the more controversial indications of policy shifts are contained in a report submitted by a Cabinet sub-committee this month. Botswana’s elephant hunting ban, implemented in 2014 by Khama, is up for debate. The report advises that the ban be lifted, “regular but limited” culling be introduced, and fences be constructed to reduce human and elephant conflict. While local communities are key conservation drivers, the solutions proposed here are likely to backfire. Botswana will have to figure these knotty problems out quickly. Increased poaching and a potential return to hunting risk damaging Botswana’s conservation reputation. This in turn could translate into tourism losses. Vast wilderness landscapes require substantive tourism revenues to be protected. But protection is not about building fences to keep animals in and people out. Nor can it be achieved through culling — South Africa has been down that road before and it cannot be justified. There is plenty of space across the continent where elephants can be relocated, provided there is sufficient protection in place in advance. Besides, in landscapes like the Okavango Delta or Chobe, predators adapt to take down elephants. Nature responds best to high numbers when left to itself. Conservation success is about addressing the root causes of conflict and poaching and generating more tourism revenue. This is where Botswana has a chance to lead.